The last thing you want to think about when traveling is how to get to and from the airport. Well not anymore. A Plus Coach delivers the very best Logan Airport Shuttle Services to our clients throughout Massachusetts. We take the stress out of finding airport transportation by offering a wide variety of vehicles at affordable prices prior to arrival. No matter the size of your party, A Plus Coach can accommodate you and your guests, family or clients. Why waste time on the costly and unreliable Logan Airport shuttle services that some hotels and resorts offer? The majority of shuttle don’t make frequent trips to the airport and often don’t show up when scheduled. They also have hidden fees and passenger minimums. A Plus Coach rolls out the red carpet for all of our clients and is there to greet you at logan airport, residence or hotel, and provide you with every earthly convenience. Our experienced chauffeurs prominently display your name on a sign, making it known that we are there to fully serve you and your guests. Maximize the value of your transportation expenses with our affordable Logan Airport Shuttle services. We offer shuttle service to and from Logan International Airport or the airport of your choice. No need to fumble over your smart phone to navigate to your hotel or destination, A Plus Coach has you covered from pick-up to drop-off. It truly is the only way to travel on your next visit to the great state of Massachusetts. Reward yourself with the celebrity treatment and choose A Plus Coach’s Logan Airport Shuttle Service for all of your ground transportation needs. A Plus Coach provides world-class Logan Airport Shuttle Service that is affordable and reliable. We deliver superior private car, limo and shuttle service to and from Logan International Airport from hotels, residences and other landmarks in Massachusetts. Meet and greet service is also available!! Being met by our chauffeur at the airport is your ticket to convenience. Your name is prominently displayed on a sign so that you will have no difficulty finding your chauffeur. He or she will assist with your luggage or getting Skycap as necessary. For your convenience our Logan Airport Shuttle, Limousine or Private Black Car is always parked as close to the terminal as possible. 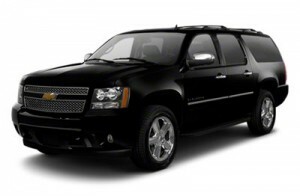 Have the affordable luxury you deserve with A Plus Coach Logan Airport Shuttle Service.